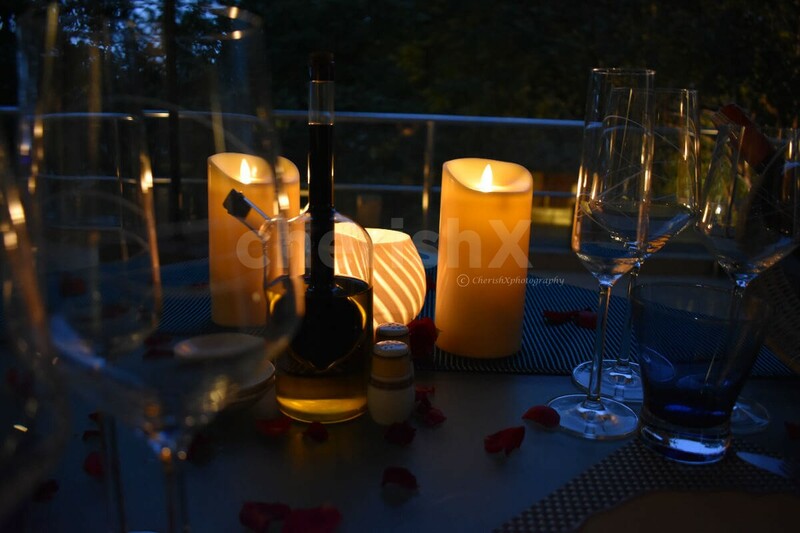 Fresh air, breathtaking views, soothing music, 5 star hospitality, scrumptious meal, romantic ambiance, valet parking, multi-cuisine, open kitchen…. 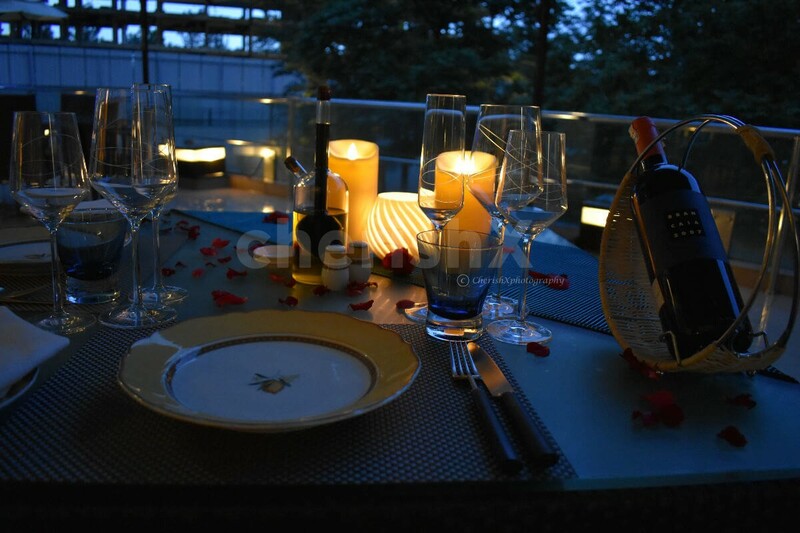 the list of reasons to book this balcony candlelight dinner could go on forever..
A MEDITERRANEAN MEDLEY Inspired by fresh, crisp and healthy foods. See fresh herbs travel directly from the garden to your plate. All adding zest to modern Italian, Moroccan and Greek delights. 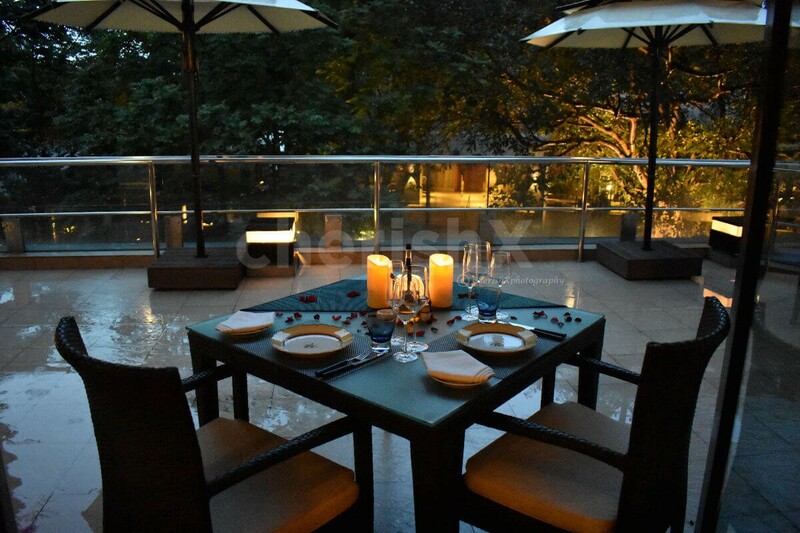 Azure, with its contemporary design, is one of the best Mediterranean restaurants in Bangalore. A wine rack and a mosaic wall make for a stunning display as a Tapas service bar stretches out in front.Dig in to modern Italian cuisine with fruit sorbets, extracts and froths. Crave for more Moroccan casserole creations. 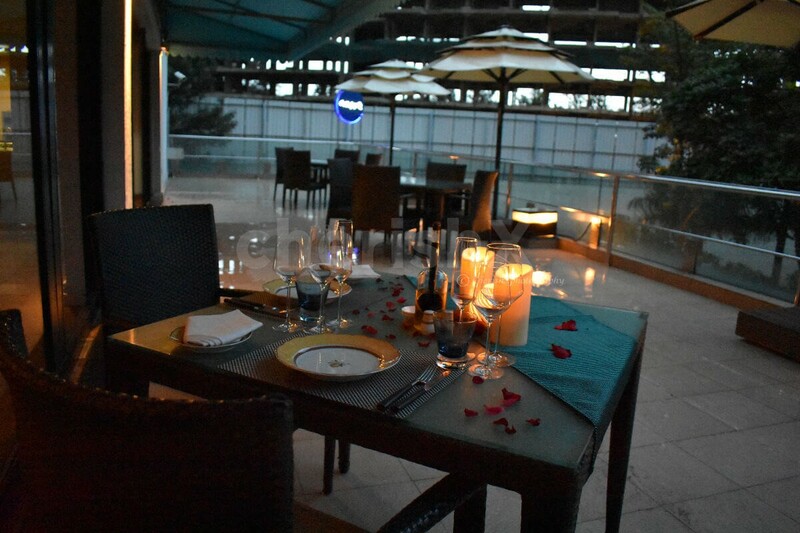 Or simply enjoy baked Greek specials with generous helpings of relishes and olives. 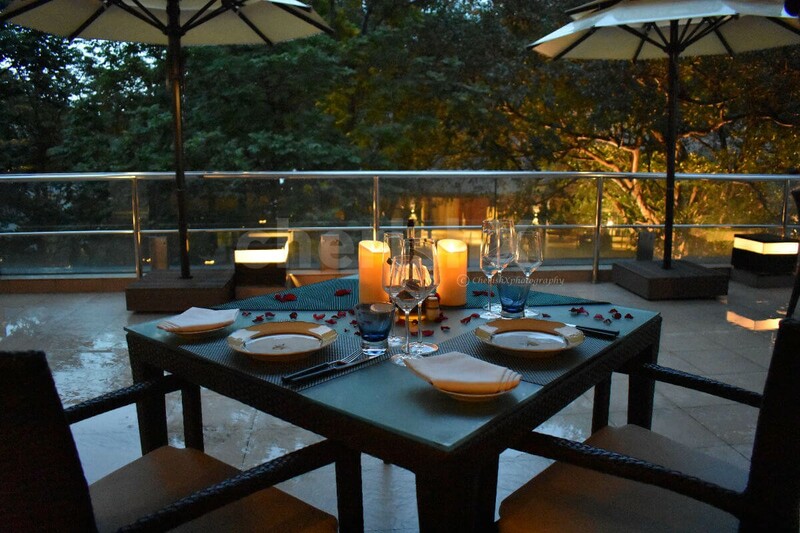 Your venue is Just mins away from Yeshwantpur Railway Terminus and a 50-min drive from Kempegowda International Airport. 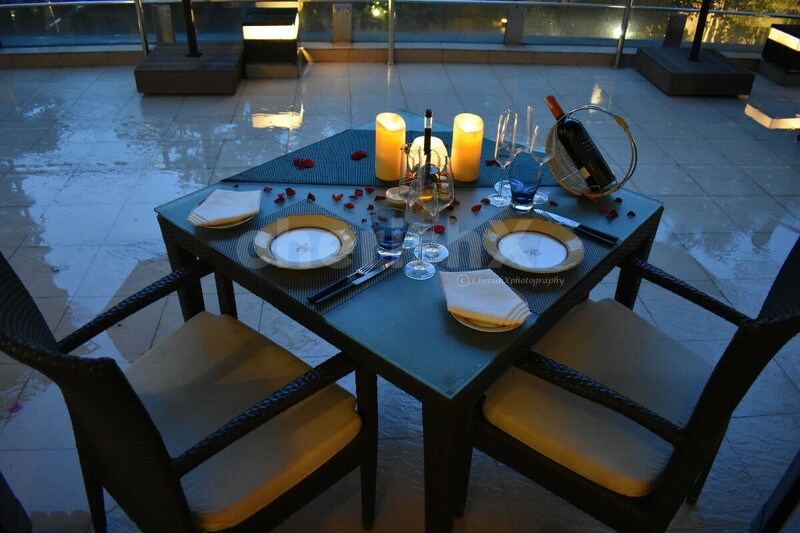 Make the most of a romantic date with a candlelight dinner in one of the city’s best hotels.